Brian Cober is the best friend that the slide guitar ever had. His invention of the Double Slide Guitar gives the slide a voice and range of capabilities that have never been released before and harnessed them to drive his own brand of streetwise, roadwise blues. He has captured the soul that makes one actually enjoy in a sympathetic way his confessions of heartbreaks and excesses. With his band The Nationals, Brian released 3 acclaimed CD's and backed up Bo Diddley, King Biscuit Boy, Johnny Winter, Jeff Healey and many others. 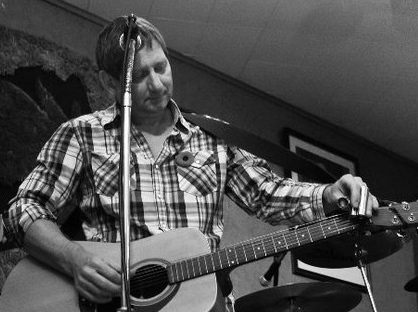 When Nationals founding member Paul McNamara passed away in 2008, Brian began his solo career with a new CD "Real Far Gone". Since '08, he has played full time at clubs, Blues Society's, dances, private parties, and festivals including the Montreal Jazz Festival, Bluizo Natkys Festival in Lithuania, La Chute Fest, and toured in Israel in Feb. '11. First the listener is struck by the unique sight and sound of the Double-Slide. Then Brian's mastery of the instrument becomes obvious, along with his soulful vocals and great songwriting. Whenever, and for however many, Brian Cober is a unique and uplifting musical experience. 1971 — Frustrated lap steelist Brian invents Double Slide system of playing guitar! 1980 — Terraplane releases 45 "Move This Thing Around"
1996 — Nationals release CD "Blue Howl"
1997 — Fly to Fort Providence NWT to play New Years Eve. 2001 — Nationals release CD "Piece Of Wood"
2005 — Nationals release CD "Double Slide"
2010 — Release solo CD "Real Far Gone"